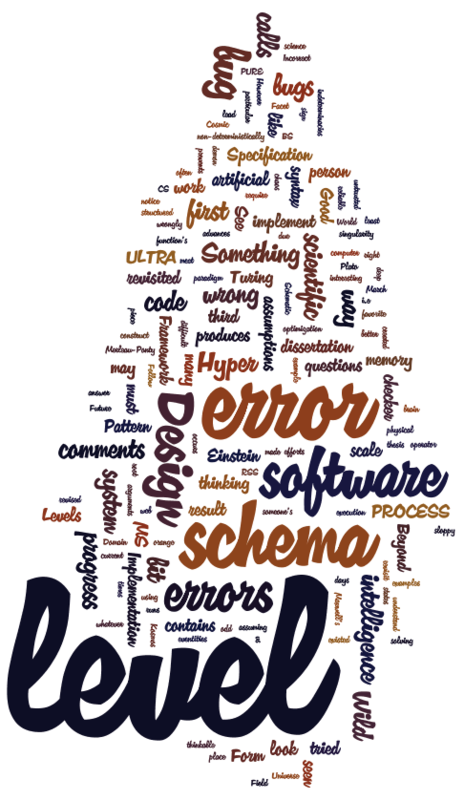 When a bug is found in a piece of software, the root cause is often a bug in someone’s thoughts. One way to better understand a bug is to look at how deep the underlying thought error was. In other words: How many assumptions must be revisited as a result of the bug? Something interesting about levels 5 and 6 is that they look more like progress than like errors. This is no coincidence: scientific progress occurs when bugs in our collective thinking are fixed. Thus, we could easily construct a scale for scientific advances that mirrors the scale for software bugs. Einstein and Turing operated at level 6 at least a few times in their lives; many other great scientists work at level 5. A typical MS thesis is at level 2 and a dissertation should be no lower than level 3.